A bicycle is a simple, low-cost way of getting from place to place. But to Andy Dahl and Nima Shahidi, it is much more: an outlet for creative expression, a platform for teaching practical skills, even a way of life. They believe that when kids and bikes are brought together, great things happen. Dahl, an artist and graduate student in Harwood, and Shahidi, a mechanic and activist in Charles Village, run their Baltimore Bike Experience out of a small space at Digital Harbor High School, where they use old, donated equipment to teach students about bicycle mechanics and safety practices. Students ride away with bikes that they restored themselves – and skills that can land a decent-paying job. At least one participant has already found work at a Fells Point bike shop. For Dahl, who infuses his art with a sense of social mission, a key part of the program is to unleash creativity by encouraging kids to add personal touches to the machines they’re working on. “Bicycles have always been part of my life, and I’ve found them to be really interesting tools for working with other people,” says Dahl, a Southern California native who was a Peace Corps worker and public school teacher before arriving in Baltimore in 2012. Dahl’s artistic vision is complemented by Shahidi’s penchant for fixing all kind of things – from the engines he tinkered with as a car dealer’s son to the social problems that inspired his work as a housing activist. Shahidi, whose family has lived in Baltimore for generations, loves how kids’ eyes light up when he shows them the bike shop’s power tools. There are about 20 students in program – all boys so far – with 12-15 showing up on a typical Wednesday after school. Bikes play a big role in both men’s lives. Dahl, who is finishing his MFA in Community Arts at the Maryland Institute College of Art, is doing a thesis project titled “Language of the Bicycle” that features what he dubs “pedaled creations.” He also is developing a bicycle-art program at the Creative Alliance at the Patterson called Bikeadelic. Shahidi has his own mechanic business and coordinates bike rides around local reservoirs for the city Department of Recreation and Parks. Some of the boys Dahl and Shahidi work with are frustrated because of chaotic homes or problems in school, where they might not always feel smart or successful. But in the bike shop, a transformation occurs. Dahl says he can relate to what these kids are feeling. “When you fix something and can say, ‘I did that’ … and the world recognizes you for that, it’s a powerful thing,” Dahl says. “It didn’t work before, and now it works.” They are also learning to give back to their community; the students donated about 15 refurbished bikes to a local elementary school. 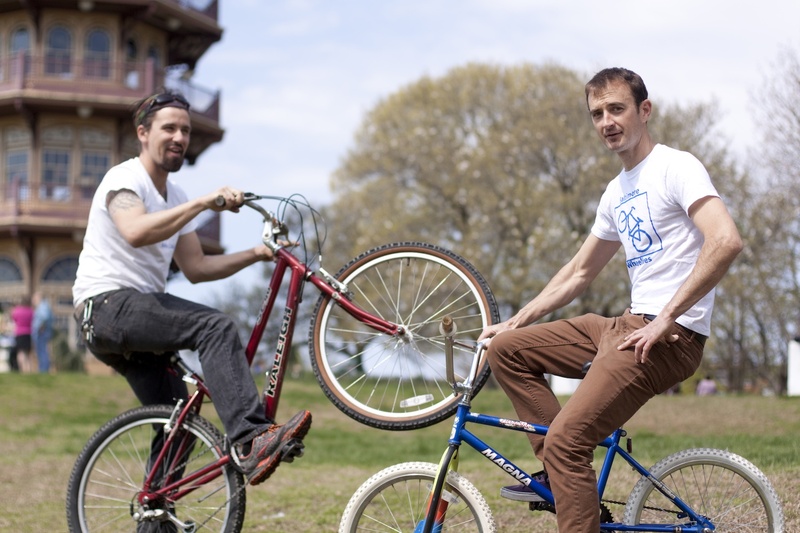 Dahl and Shahidi have a vision to expand this concept to other parts of the city, connecting with diverse neighborhoods and demographic groups and forging ties with universities, government agencies and other institutions to spread the gospel of two wheels. “We have big dreams,” Shahidi says.